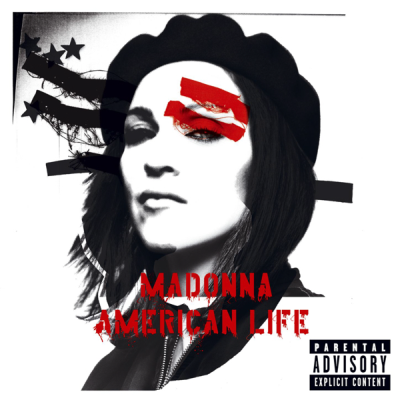 American Life was mostly composed and entirely produced by Madonna and Mirwais Ahmadzaï. The two had previously collaborated together on the studio album Music (2000). Other songwriting collaborators on the album were Monte Pittman, Stuart Price, British singer-songwriter Jem Griffiths and Guy Sigsworth, who had previously worked on the song, "What It Feels Like for a Girl," from the Music album. Composer Michel Colombier, who previously worked on some of the string-arrangements on Music also contributed. Colombier is responsible for all the string-arrangements on American Life, and conducted "Easy Ride," "Nothing Fails," and "Die Another Day." Madonna started recording the album in 2002, after filming the movie Swept Away. While recording the album in London, England, she also worked on other projects, such as her West-End appearance in the play, Up For Grabs, and filming her cameo-appearance in the James Bond film Die Another Day. Recording of the album was finished in London and Los Angeles in late 2002.